Carl Austin Rietz was a man of many interests and accomplishments. Best known for his engineering and business success as an early innovator in industrial food processing technology, Rietz also worked as a court reporter, auto mechanic, secretary, night school teacher, traffic consultant, lecturer and author. His personal passions were as diverse and colorful as his multiple careers. An artist, musician, and gourmet as well as a collector of ceramics, textiles, jade, medieval literature, and music, he pursued a lifelong engagement with the arts. 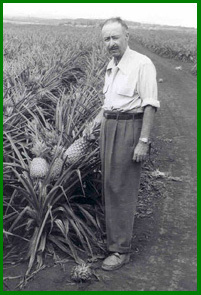 Rietz's successful innovations in food processing technologies, coupled with his interest in international cuisine and history, led him to explore the history of how people of around the world have tackled the basic requirement of feeding themselves. During his life-long travels, he sought out historic artifacts that told the story of cooking and eating. His interest was broad, collecting across multiple cultures and time periods. He was less interested in an object as an example of craftsmanship than as an example of technology. Simply put, Rietz was more interested in how an object was used than how it was made. His training in technical engineering and medicine informed his selection and collection of cultural artifacts and objects concerned with the history of food processing. His joy in the ingenuity of human enterprise led him to explore the cultures of the world with an infectious wonder that he shared freely. He had a personal philosophy, oft repeated by those who knew him, that the formula for world peace was the honest understanding of other cultures. He viewed food and cuisine as an obvious tool for such understanding. Click on the Rietz logo to advance to the next page.